How do modern Japanese people celebrate the holiday season in Japan? It has been known that many couples go to Yokohama to spend a romantic evening on Dec. 24 at harbor view hotels. Yokohama is a port city that was first opened in 1859 after nearly three centuries of isolation and the prohibition of foreign trading by the government in the Edo period. The city has been functioning as the gate to Western culture since before the invention of the airplane. Starting from mid-December, “Christmas cakes” can be found for sale throughout Japan, even at train stations. They are usually sponge cakes covered with whipped cream and decorated with strawberries. 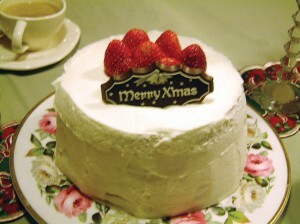 “Merry Christmas” is written in English on a thin chocolate board placed on the top of the cake. 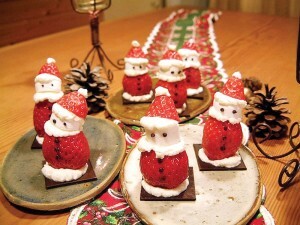 A marzipan Santa Claus along with plastic holly leaves or a Christmas tree are common additional touches. People light candles on the cake and enjoy it after dinner on Dec. 24. This is another example of Japanese adopting a Western tradition and adding some Japanese touches. 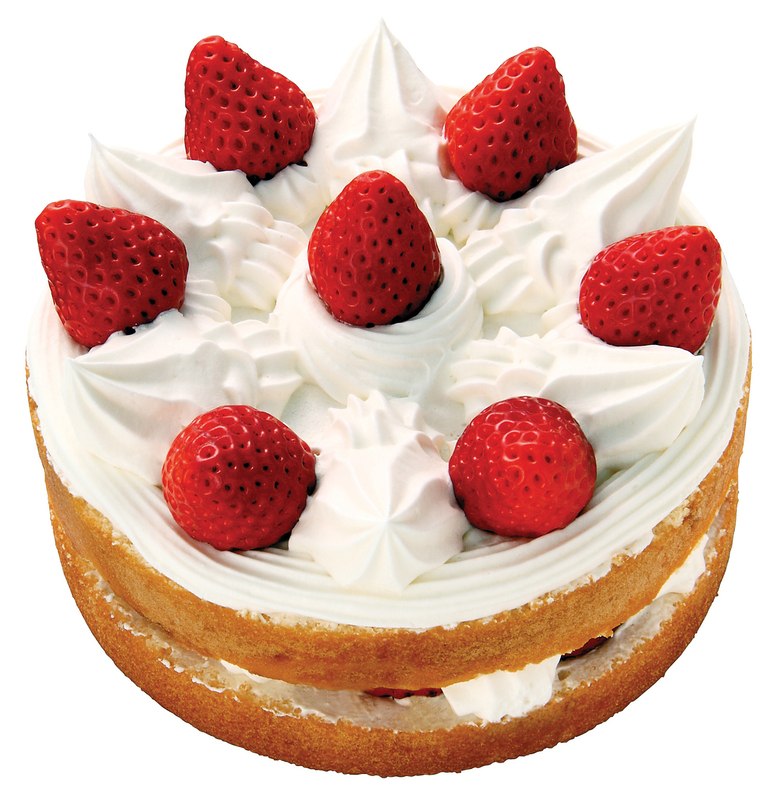 It is known that one of the oldest confectionary companies, Fujiya, was the first to introduce sponge cake to the Japanese market in 1922. Fujiya’s first store opened in 1910 in Motomachi, Yokohama, where many Westerners resided. 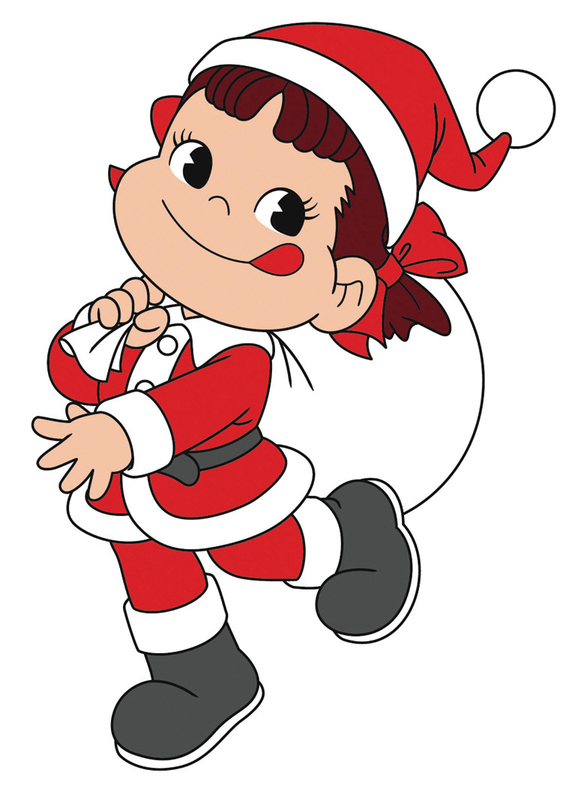 According to Fujiya, it has been selling Christmas cake since its opening. The original Christmas cake was a sugar-coated fruitcake. Around 1913, the company’s founder, Rin’emon Fujii, came to the United States and visited Los Angeles and San Francisco. Inspired by various successful business models, he returned to Yokohama the following year and renovated the first store by installing a soda fountain and adding a tearoom. Then Fujii created his own style of cake known as “shortcake” — sponge cake with cream and strawberries on top. That is the basic style of Christmas cake today. Before the refrigerator became popular, butter cream (a mixture of butter and egg whites) was used. In 1952, the Japanese government lifted restrictions on the sugar and flour market, which accelerated the manufacturing of sweets. The prevalence of the refrigerator enabled people to keep the milk-based cream cakes. Japan’s post-war economic growth contributed to the consumption of Western sweets over the years. According to Fujiya, it sold more than 900,000 pieces of whole and cut Christmas cakes last year. However, not everybody buys the cake. 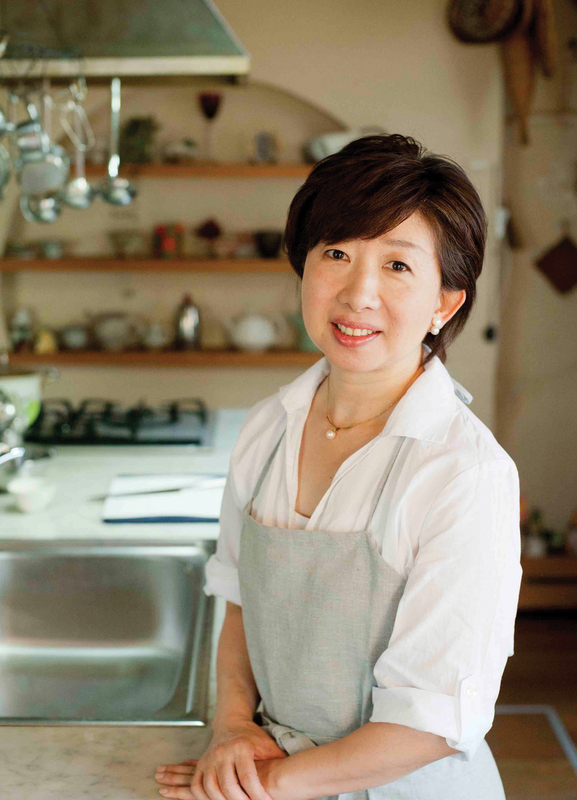 Kanako Tanaka, who runs a cooking studio in Kashiwa, Chiba Prefecture, recalls that making a Christmas cake when she was 11 years old was what intrigued her to pursue her career. “I think I saw a photo of a Christmas cake in a magazine and I really wanted to make one for me and my young cousins,” she said. So Tanaka baked her first Christmas cake by using a ring-shaped mold that she could afford. Kanako Tanaka, who runs a cooking studio in Kashiwa, Chiba Prefecture, recalls that making a Christmas cake when she was 11 years old was what intrigued her to pursue her career. “When I took the cake out from the mold, there were many holes. It was because while baking, it bubbled. It resembled craters of a moon,” she recalled. Five years ago, her older son was diagnosed with Crohn’s disease, whose cause is unknown, although it is related to an immune system disorder. So she tried to cook at home to moderate the symptoms by reducing oil and animal fat in her son’s diet. She recently published recipes for people who suffer from the same disease. Her family usually eats the cake after the Christmas Eve dinner, and the rest of the cake will be eaten on Christmas Day while opening up gifts. Around Dec. 28, she starts shopping for Oshogatsu (New Year). It starts with preparing for osechi-ryori (traditional New Year’s dishes). On Dec. 29, she soaks kazunoko (herring roe) in water to desalt it. In addition, she soaks dry black beans in water to prepare gomame (sweet black beans). On the 30th and 31st, it’s time for osechi-ryori cooking. On New Years’ Eve, her family always enjoys temaki-zushi. While listening to the joya no kane (the striking of a temple bell 108 times), they eat toshikoshi-soba (buckwheat noodles eaten to ensure a lucky year). Bake in a 7-inch pan. 1) Put 4 egg whites in a large bowl and whip with hand mixer for one minute. Add sugar little by little (three scoops) and continue to whip. After 4 minutes, the egg whites will become firm. Check by poking with a toothpick; if it stands, the egg whites are ready. 2) Prepare another bowl and put in 3 egg yolks. Add 30g of sugar and whip with hand mixer until the yolks turn whitish, similar to the color of mayonnaise. Add salad oil and milk, then keep whipping. 3) Add half of the flour and mix well. After it is mixed, add the rest of the flour. Add vanilla extract. 4) Add half of the egg white mixture and mix. Then add the rest of the egg white mixture and mix well until the bubbles of the egg whites disappear. 5) Pour into mold and bake for 30 minutes at a temperature of 320 degrees F.
6) Cool it down and take it out from the mold, then decorate it with whipped cream and strawberries, as desired.